SUMMER GUIDE: Range around Seattle and across Lake Washington for pleasant ambles that are easy on the eye. Want a walk with a view? Here are five easygoing, flat walks. Most are several miles, but easier to make shorter or longer. TOP OF QUEEN ANNE HILL: Drool-worthy mansions. Views that stretch from the Space Needle and downtown to Rainier and the Olympics. 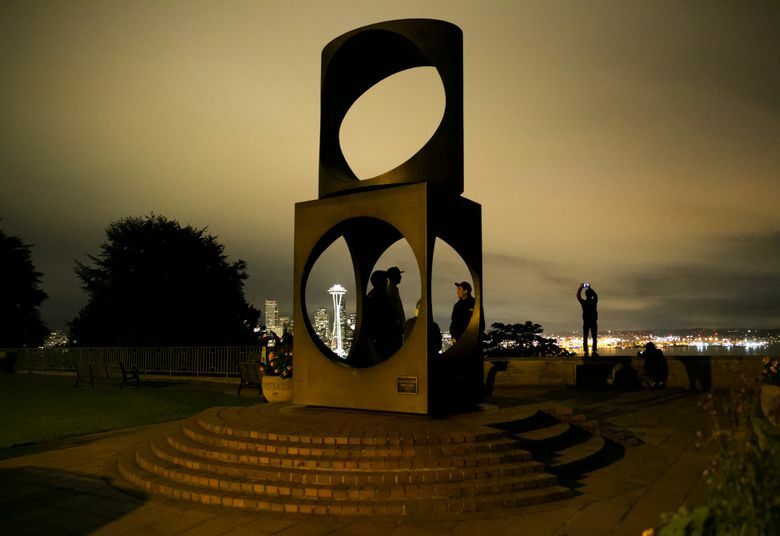 Start at uber-view Kerry Park on Highland Drive. Go west on Highland and north along Eighth Avenue West. Continue to verdant Mount Pleasant Cemetery; wander back on whatever side street you like. KIRKLAND LAKEFRONT: Meander for several miles along its Lake Washington waterfront. Start at Carillon Point and walk north to Marsh Park, with lake views, public sculptures and waterfowl along the way. For more greenery, and more birds, stroll in Yarrow Bay Park and Wetlands to the south. Kirkland has a good walking brochure: bit.ly/1K63ZAU . WEST SEATTLE: Combine industrial views and a stunning panorama of downtown’s glimmering high-rises at the waterfront Jack Block Park by the Port of Seattle’s Terminal 5. Picnic or nap on its little beach. portseattle.org/Parks-Public-Access. Want a longer walk? Walk northwest on the paved, waterfront Alki Trail. SEWARD PARK: Stroll around this thickly wooded little Lake Washington peninsula on a broad, paved waterfront loop. See eagles soar and Rainier loom. (You may have to backtrack on weekdays this spring because of water-supply construction.) seattle.gov/parks/environment/seward.htm.